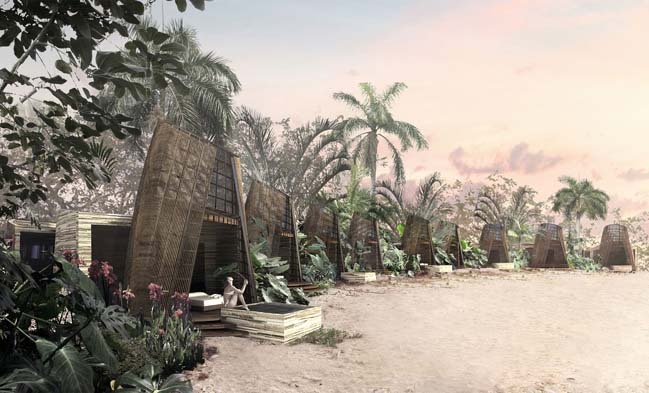 Isla Pasión is a concept project designed by Sordo Madaleno Architect to create a luxury hotel in Mexico that has an unique architecture is based on Mayan elements. 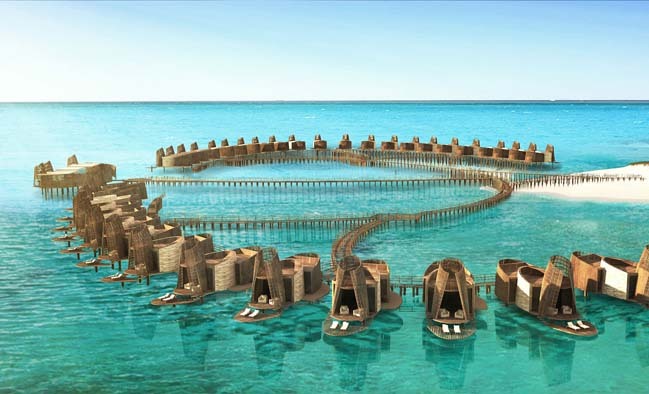 From the architects: The site is a peninsula on the north of the island of Cozumel in the Mexican Caribbean. The natural conditions are peerless, with beaches, the sea, mangroves and a striking strip of pine trees. 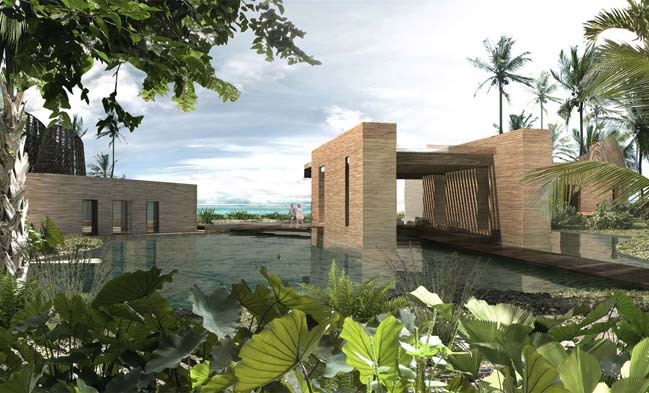 In the conception of this project, understanding the special nature of the site and fully respecting the existing natural surroundings was essential. For these reasons, all its areas were designed using an organic, low-impact architecture that is integrated into its surroundings. 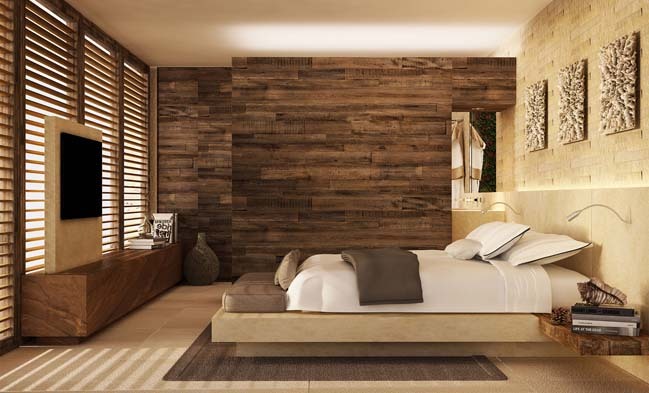 Regulated, local materials are used such as regional stone and wood. It aims to create a simple image that avoid grandstanding, while achieving high levels of comfort. 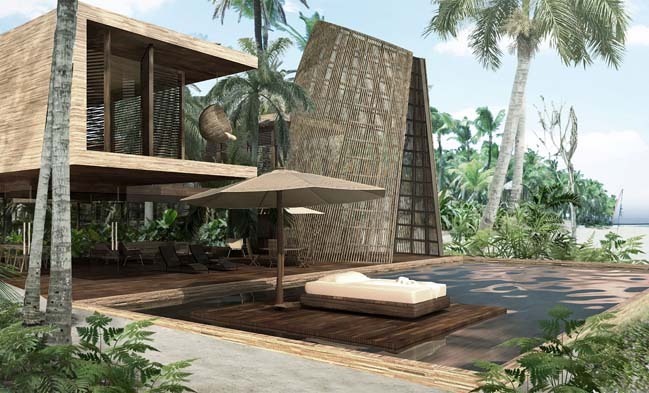 The principal architectural concept is based on Mayan elements that are native to the region, such as pyramids, traditional Mayan houses, the Mayan calendar, cenotes, and so on. 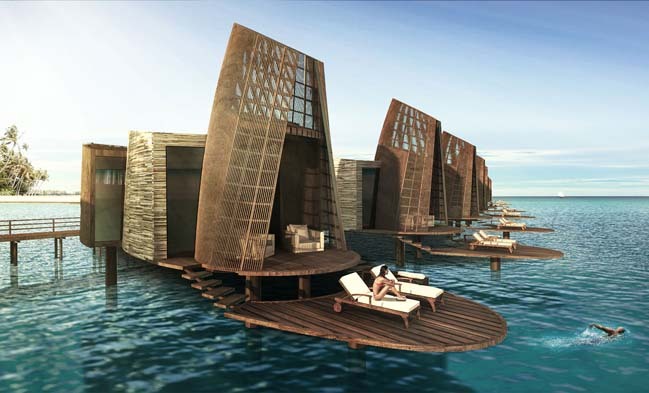 The master plan includes suites, stilt houses, a spa, common areas, a residential area and services. 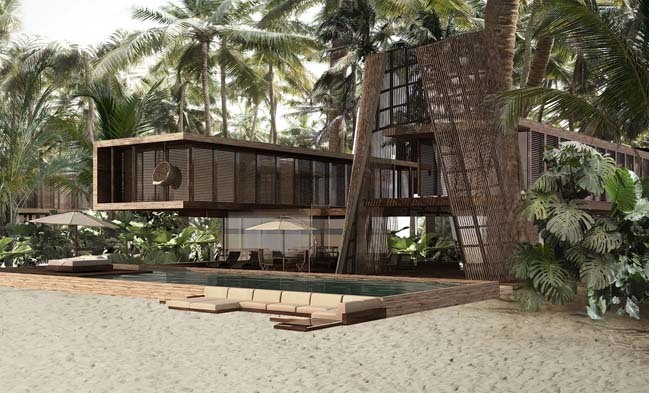 It is distributed over the length of the island seeking to generate the minimum floor area, extensive vegetation, superb views, pleasant walks and the least possible impact. 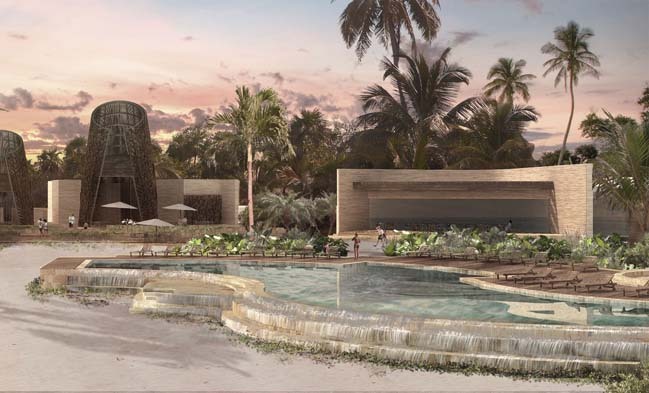 The layout places the public areas and the spa at the center, the hotel zone to one side and the residential area on the other, thereby separating the two programs while permitting the integrated operation of the project. 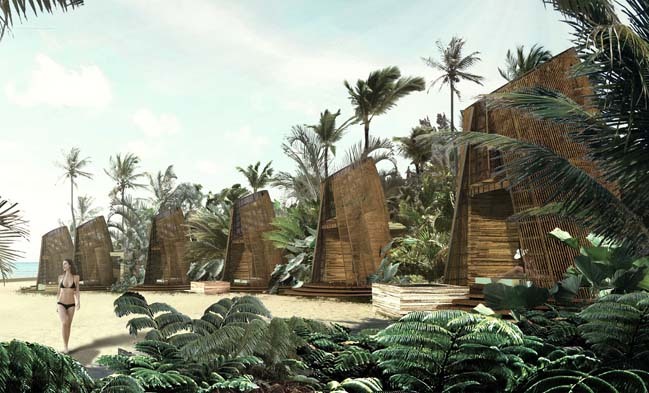 The stilt houses are the first of their kind to be built in all of Latin America. 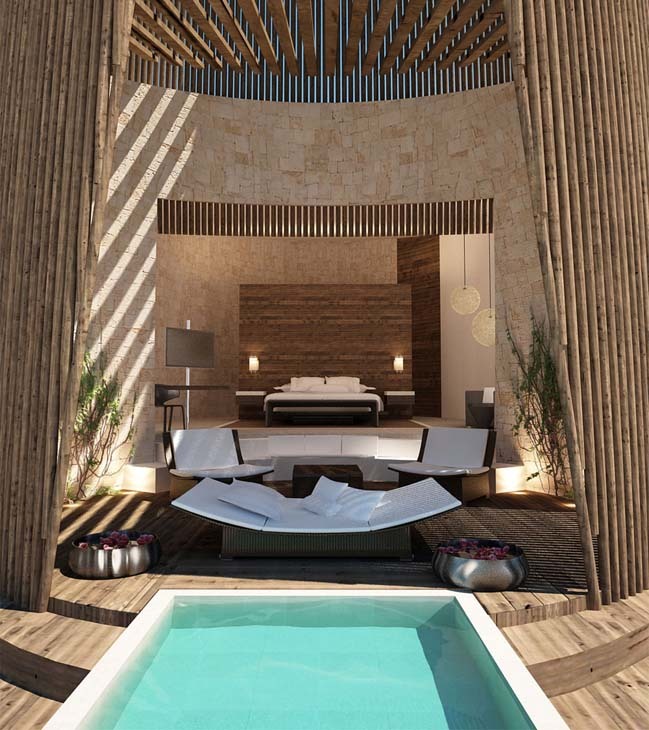 Together with the hotel suites, they are a reinterpretation of traditional Mayan houses and the design refers to their volumetry, textures, organic lines and natural ventilation. They are designed using three bodies that are camouflaged in their context. 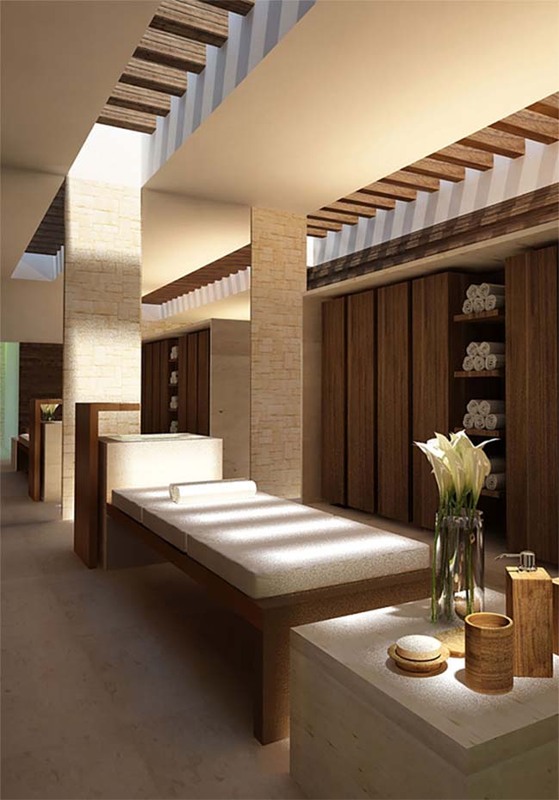 The first body, sheathed in wood, contains the washrooms and a private patio; the second body, curved and made from stone, houses the bedroom, while the height, transparency and lightness of the final body contrasts with the solidity of the other volumes and was conceived as a transitional space between the interior and exterior.